How to install. Activate the mod in the mod manager. 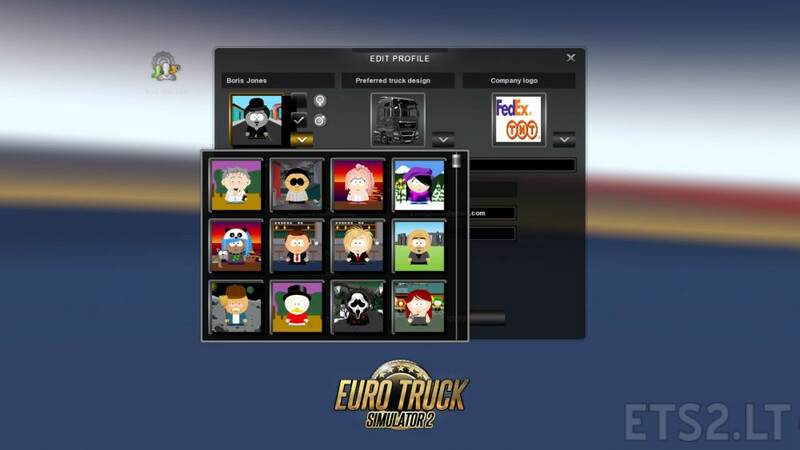 Start a new game or load an existing game, when the game loads safe the game and exit out of ETS2. 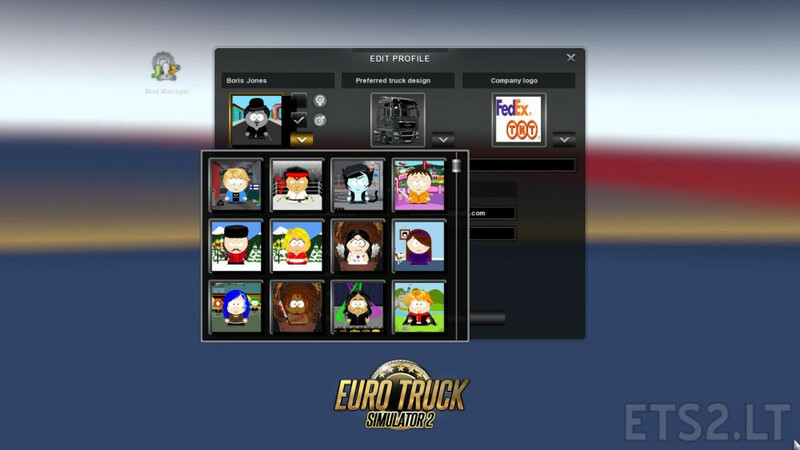 Reload ETS2 and then click on edit profile and from there you’ll be able to change the profile photo to a SouthPark character.